BRICS is the acronym for five fastest growing nations of the world, namely Brazil, Russia, India, China and South Africa. It was formed to encourage cultural, commercial and political operation among BRICS nations. It was called as BRICS after South Africa joined the group in 2010. Earlier it was just BRIC. It was formed in 2006. The BRICS nations are all leading developing or newly industrialised nations. BRICS consist of about 41% of world population as of 2015. Combined nominal GDP of these five nations is US $16.6 trillion, equal to approx. 22% of Gross World Product as of 2015. The BRICS group acts as a bridge between developed and developing countries. Self-sufficiency and not dependency on the west dominated nations is one of the key goals of BRICS. Establishment of BRICS Business council. To enhance market access opportunities and ease market linkage. To Promote mutual trade, investments and create a business friendly environment. To strive for inclusive economic growth to eradicate poverty and address unemployment. To Promote information exchange through BRICS Virtual Secretariat and BRICS Economic Exchange Platform. To meet Regional development goals. The launch of New Development Bank (NDB) marked a milestone in BRICS co-operation and international development. The CRA (Contingent Reserve Agreement) was setup to give support, strength and principal stability of other nations. The steps of NDB and Contingent Reserve Arrangement (CRA) shows the BRICS strength in market and policy space. Through NDB & CRA BRICS will offer alternate option to IMF to other countries. The face off at Doklam between China & India created trust issues between two countries. Unemployment is on the rise and making things worse for every country. The struggle in attracting foreign investors. This is the main challenge South Africa faces. Trade and investment linkages among the BRICS countries are fragile and disjointed. China owing majority stake in BRICS, is trying to make YUAN as the reserve currency of the BRICS nation. The BRICS share the challenge of infrastructure deficiency in their countries and regions. Culture and tourism links are still weak among BRICS countries. 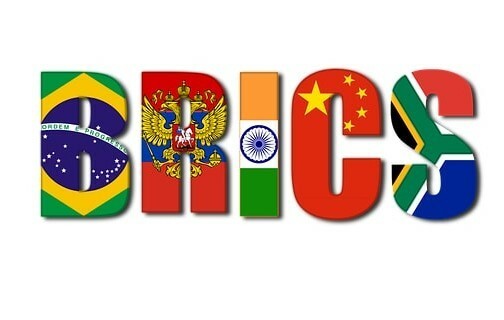 BRICS becomes the building block of world economy. The BRICS markets keep strong characteristics that can attract equity investors. There are worries and uncertainty around this which will likely to create some angst in the Global market. However, We will be able to see a strong economic growth of BRICS in world economy utilizing favourable demographics, rich natural resources and strong finances in the near future.